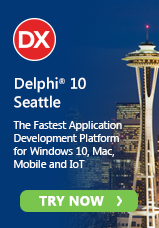 What can I get free with my purchase of Delphi XE? For a limited time, Embarcadero is offering a Buy One Tool, Get a Second Tool Free promotion. For the duration of the promotion, purchasers of Delphi XE products can choose a different product of equal or lesser value free! See the BOGO promo web page and terms and conditions for complete details on the offer. Use the information below to find out which free products you can choose when you purchase different Delphi XE products, ranging from a Delphi XE Professional Upgrade to a Delphi XE Architect New User product. RadPHP™ XE revolutionizes web development with an integrated, rapid visual development approach and component framework for PHP. 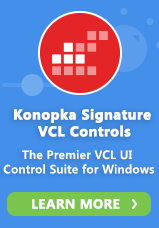 C++Builder® XE is the only true RAD C++ environment – combining a powerful ANSI C++ tool chain with a rich visual component framework for ultra-fast Windows application development.